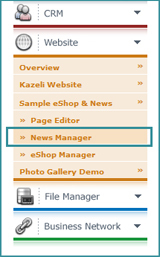 A news type is simply a category under which your news items will be listed. 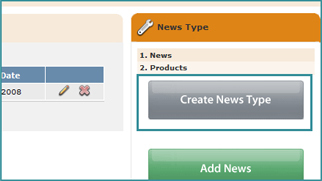 You can create different headings for different news categories, such as Product News, Investor News and Media. 4. Click CREATE NEWS TYPE. 5. To create a type click NEW. 6. Enter a Type Name and click SUBMIT. 7. The News Type has been added.